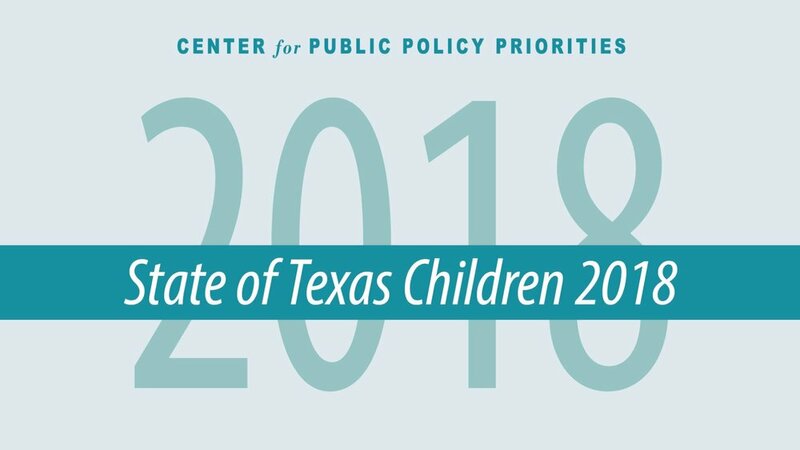 The Center for Public Policy Priorities and The Boone Family Foundation invite you to a Dallas community workshop for CPPP’s State of Texas Children 2018 report. CPPP experts including CEO Ann Beeson and Research Analyst Kristie Tingle will share data on how kids are doing and provide key questions to ask our elected officials regarding how we can make Texas the best state for kids! The event will also feature a conversation with Dallas Independent School District Board Trustee Miguel Solis, Dallas Mayor's Task Force on Poverty Chair Regina Montoya, Center for Public Policy Priorities CEO Ann Beeson and Research Analyst Kristie Tingle, The Dallas Morning News editorial board member Leona Allen, and more. Please reserve your tickets by registering directly on Eventbrite! Visit www.cppp.org or contact us at updates@cppp.org for more information.